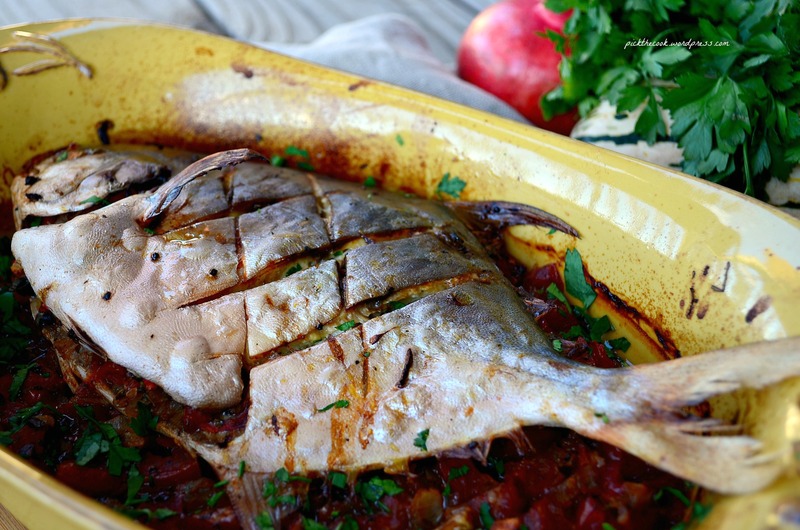 If you’ve never tried pompano fish, you’re missing out! 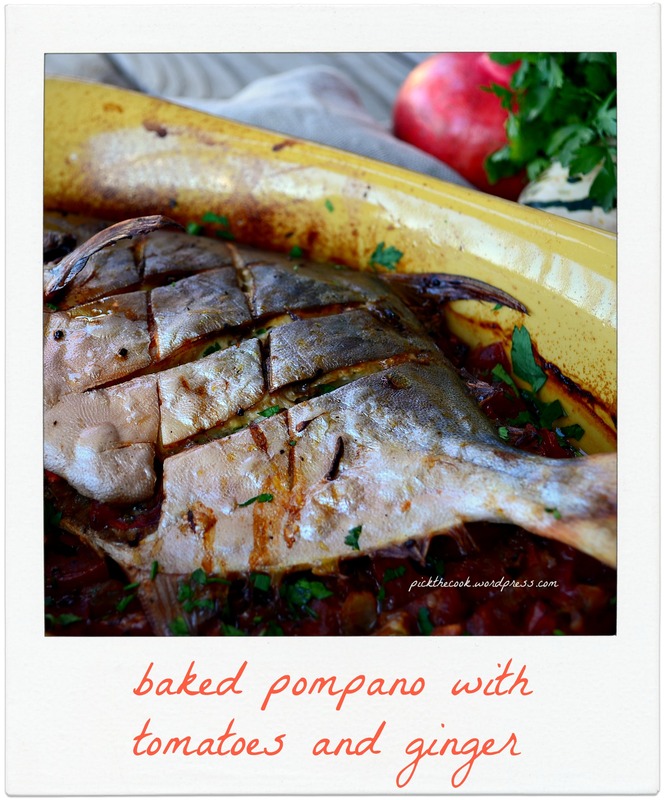 It’s a pretty fatty fish which make it perfect for roasting. You can usually find it in any Asian stores. Clean the fish thoroughly inside and out. Chop the onion and the tomatoes in small pieces. Make a vinaigrette using the balsamic vinegar, orange juice, olive oil and pink salt & pepper. Rub the fish inside and out with the vinaigrette. In a large bowl mix the onions, tomatoes, chopped parsley and the crushed ginger and season them with pink salt and fresh ground pepper. Fill the inside of the fish with veggies. Place the rest of the veggies in an oven safe pan and put the fish on top of the veggies. Add the rest of the vinaigrette over the fish and roast everything at 380 F for about 30 minutes (depending on how you like your fish to be done).